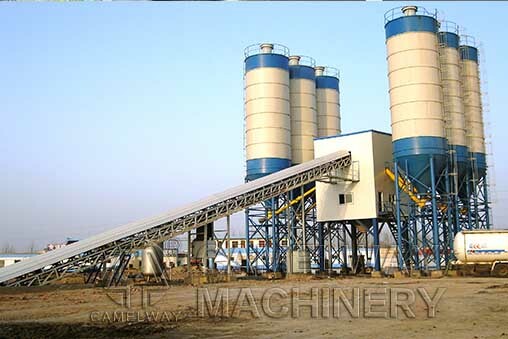 HZS series commercial concrete plants for sale in the market is widely used to produce commercial concrete, so people like to call it commercial cement batching plant. It is a full set of concrete mixing equipment, including the following parts: concrete mixing system, aggregate batching and weighing system, cement weighing system, water weighing system, additive weighing system (optional), cement silo, screw conveyor, full automatic control system, etc. HZS series commercial concrete batch plant, as the name suggests, are ideal equipment to produce commercial concrete, no matter to produce plastic concrete or to produce dry hard concrete, etc. Commercial concrete mixing plants are widely used for water conservancy, electric power, railroad, road, tunnel, the arch of bridge, harbor-wharf and the national defense-project etc.